4 items ordered and I paid for 4 items. Parcel arrives containing 3 items - no word on refund etc delivery note has cross next to missing item. No word if it’s being delivered separate or if a refund will be issued. How long does their customer service normally take to answer- anyone had dealings. Mines due for delivery tomorrow! Ok let me get my time machine. Perhaps you would know the difference if you had posted more than 5 deals in the 11 years you have been a member. What you are referring to is aftershave and not EDT, there is a difference. Secondly, you have made a silly comment and don't have anything to support it. Just because the deal is cold does not automatically prove your point. The Paul Smith Rose is usually around £25 on Amazon. It's £23 at the moment. Some good reductions, especially as some are eau de parfum, not edt. The CK Her is reduced to £25 (not £10) from £50, so you might want to change that. coming up as £18 for me. One of my favs. I'd order this if i didn't still have about 95ml left! nice work OP. 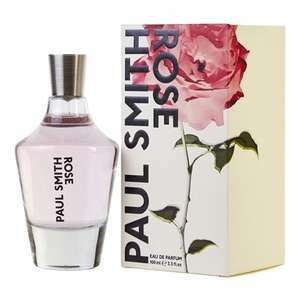 Paul Smith Rose 100ml £7 @ Tesco in store. Any men’s reduced do you know ? I agree, for a wallet, that’s crazy: because it’s out of my price range. However, if I was into stuff like that and I had the money to spend, why not? Just because it’s not a ‘deal’ for you, doesn’t mean it’s not a deal for someone else. Yours sincerely, a peasant with a Reebok Velcro wallet that I got second hand at a car boot because I’m so so poor. Have some heat for the deal. Say this quietly now, I have that exact wallet and love it. I'm just hoping that my money doesn't run out too soon though like somebody posted it will. They've got me worried. Absolutely not what i’m saying. I just think you’re mistaking what is a deal for what is a bargain. Two different things. With your logic the next time subway ask me if I want a meal deal I will proceed to slam my hand on the counter in protest that it is not in fact a deal, rather a £1.30 cheese and onion from greggs is a real deal. Just because I get to judge what is a deal or not. In fact I will be embarking on a spree of cold votes for every deal posted in here and leaving a comment that Primark is a better deal. Revise the chat we had and hopefully you’ll understand that I have not input any personal opinions, it was the other way round. Anyway, good luck finding what you want on here. I've not accused you of posting to get votes (if you were, BTW, epic fail!). I've also not talked about quality or workmanship. As for your other points, you seem to be coming dangerously close to arguing that I and others shouldn't post our opinions of deals on this site because we don't agree with your view of what constitutes a deal. Good luck with that argument. Time machines can go forwards as well as backwards. The Smiths also sing depressing songs; busy bunch hey! ..and in a few years time when this brand is not the ‘height of fashion’, will be on ‘sale’ at SportsDirect for £3! In black or blue. PS logo. Surely there is a limited market for this, how many people are called Paul Smith who want their name monogrammed on a cap? No wonder they're cheap. 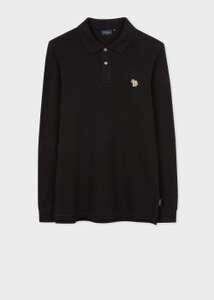 Paul Smith polo shirt reduced from £80 to £24. Other Paul Smith items reduced to clear as well. You're mistaken I'm afraid. I bought a dark green one from PS in Leeds literally 3 weeks ago. 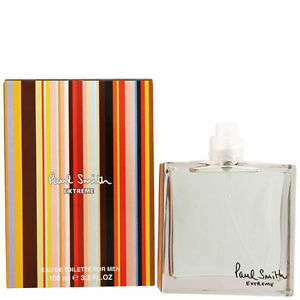 Your clearly not either as Paul Smith RRP for this product is less than £80. Got some of this before Christmas, really like it. Love this stuff, great price - heat added op. Collect instore and get £5 back to spend instore. 10% off with Student Beans if ordered from USC So cheaper! Nice, thanks. Planning on having all Christmas presents sorted before November's out! Initial sale was 30% off now bumped up to 50% off all of the SS17 stuff. Seems to be plenty of stock still too. Lowest priced items include books and socks from around £7. Was not expecting how expensive some of that stuff would be. Anyone know why they charge so much for their compare pants (570 down to 285) compared to normal ones? Cheers. Four polo shirts ordered. 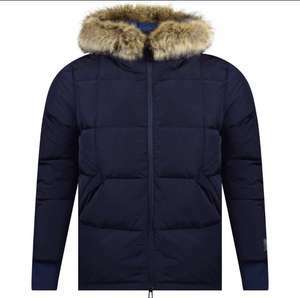 Nice just ordered a jacket. Extra 10% on quidco is a bonus! Thanks. 10% quidco too. Free collection from their stores too. Ooh very nice, thank you! Oh, I see. It worked on a DKNY bag and then didn't work on D&amp;G sunglass after removing the bag from the basket. Reapplied promo code and not valid popped up. So I assumed it has expired. Man, got really excited thinking getting a decent sunglass for half the price. Gutted! No still live - only valid on what is on the get deal link though - what you having trouble with?